Caroline still dreams about West. His warm skin, his taut muscles, his hand sliding down her stomach. Then she wakes up and she's back to reality: West is gone. Before he left, he broke her heart. Then, out of the blue, West calls in crisis. A tragedy has hit his family—a family that's already a fractured mess. Caroline knows what she has to do. Without discussion, without stopping to think, she's on a plane, flying to his side to support him in any way he needs. Though they are together once more, things are totally different. West looks edgy, angry at the world. Caroline doesn't fit in. She should be back in Iowa, finalising her civil suit against the ex-boyfriend who posted their explicit, deeply intimate pictures online. But here she is. Deeply into West, wrapped up in him, in love with him. Still. Once more, the whole story did touch a delicate nerve but, while devouring the book, I loved how "Harder" differed from "Deeper". As a matter of fact, their differences are what make them two unique instalments both to equally love. Caroline and West are a beautiful couple, they belong to each other and you can clearly see that from the very beginning. Still, things have never been easy for them, and sometimes you inevitably wonder why they chose to take a certain road just to realize that it is what it is because of their internal struggle. In this case West's. And how can you blame him? His family is a complete mess and he has a too noble heart to simply go for something he wants for himself. He takes other people's needs at heart—especially his lil sister's—and in the process he loses focus on what he really wants and, most importantly, who he is. This book is all about discovering yourself, the important decisions to take, understanding what your goal in life is and try your best to reach it. It's deep and it definitely makes you wonder. Even though I may not have cried as much as I did with the previous instalment, I felt satisfied and I found Robin York's NA romance harder and deeper than I would have ever thought. I loved it! 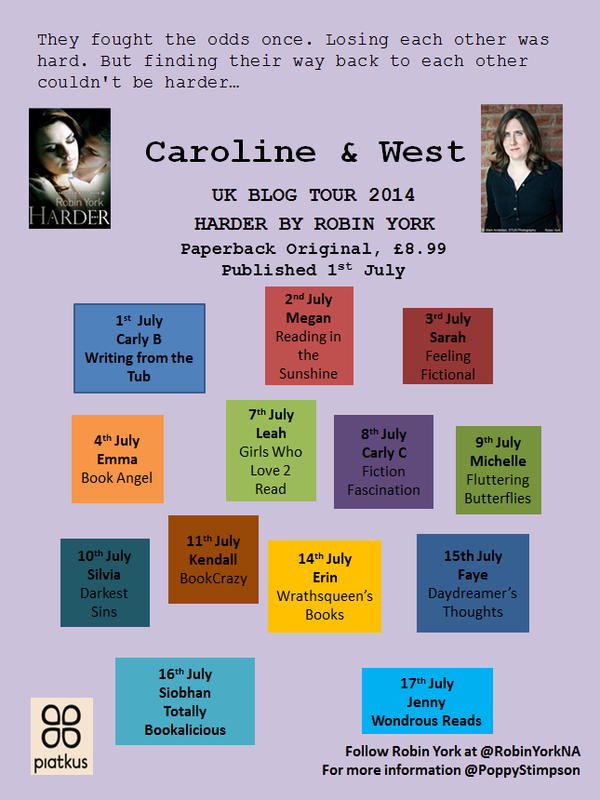 This review was part of the Official UK Blog Tour organized by Piatkus.